Every month, people search for “organizational chart” in Google over 40,000 times. There is a huge demand for better ways to make and share org charts online. Despite that demand, there are only a handful of helpful reviews that explain what to look for in the best org chart software. So, if you’re looking for the best organizational chart software, here is a break-down of one of the best org chart reviews of 2016. Jeremy makes a key distinction between org chart softwares early on in his review. Some are made solely for making organizational charts, while others are flow chart softwares that can be used to draw many types of things. 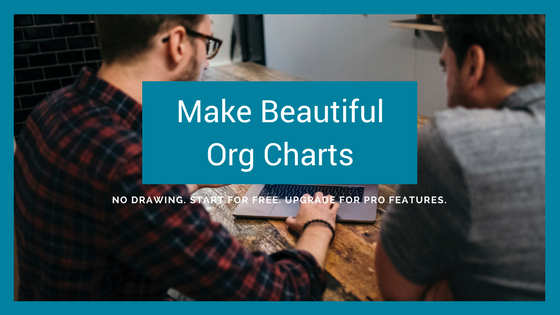 Since Organimi and OrgPlus are specifically created to make org charts, they have an edge over LucidChart in his review. In the review, Jeremy writes, “One key downside is that (like OrgPlus) you have to buy an annual subscription. You can’t pay month-to-month.” It’s understandable why org chart vendors would prefer to charge on a yearly basis to capture revenue up-front. As long as there is a discount for paying yearly, it also makes sense for customers. However, it’s in customers’ best interest to have the choice to pay monthly if that fits better into how they prefer to buy, try, and cancel their org chart software subscription. Based on Jeremy’s review, it seems that none of the 3 online org charts he included meet all of his needs for a quality org chart experience. We agree whole-heartedly with that assessment of what people are looking for in an org chart builder. With our OrgWeaver org chart software, we’ve avoided the problems of Organimi, LucidChart, and OrgPlus, while developing an online org chart maker that is simple, flexible, well-organized, and easy to share. Thanks to Jeremy Marsan for writing one of the best organizational chart reviews of 2016. It’s a big help to the business community to understand their options when making smart org charts. We hope to see more reviews that dig deeper into some of the other org chart softwares on the market.